It all ties back to one mindset she used to rise above challenges. Oprah Winfrey was born into poverty, which can trap a person in perpetual struggle. But she rose above it and became a self-made billionaire, recognized and beloved the world over. Her happiness isn’t just a result of hard work, Winfrey said. It’s a result of a mindset: to use life in service of others. And anyone can reap rewards by doing the same, she said. Oprah Winfrey is a self-made billionaire who rose to a worldwide iconic status from very humble and traumatic beginnings. A high-school radio job led to her career in broadcast journalism. She was the first black female news anchor in Baltimore. She was later demoted at the station and moved to Chicago, where she would find her calling on a low-rated morning talk show, bringing it top ratings and earning national attention. The rest, as they say, is history. 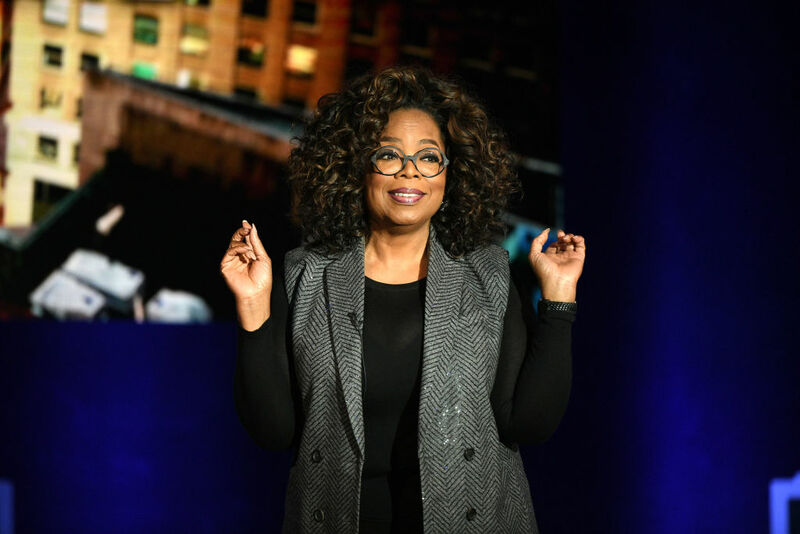 Except Winfrey’s success wasn’t just a result of her hard work, she told a crowd of 11,000 attendees at a tech conference hosted by the software company Qualtrics in Salt Lake City last week. Her satisfaction with life doesn’t come from the money and accolades. The money and accolades come from her mindset, she said. “No matter what you think about my life, it’s 10 times better than that,” she told the crowd with a smile. And she said everyone can do the same. She told the story of hiring a professional tree counter for her home on her 42-acre estate in Montecito, California. “Everyone knows I grew up poor … no bathrooms, no electricity,” she said. While she was working in Baltimore she attended her first party at a “rich white person’s house.” At first, she was stunned by the cars the host collected, seeing a Corvette, a Mercedes, a Jaguar, and others on the property. Winfrey said she was standing at the window of her own property recently and noticed the trees. Her view was full of trees. And she thought to herself, “There are those trees that I wished for, dreamed for, hoped for.” She tried to count them and lost track, so she hired a professional tree counter. Winfrey found that as she did each television show, and each project, with an intention — to help others in a deliberate way, whether it was shining a light on abusive relationships or producing movies with socially important themes — she grew happy and satisfied, and was rewarded. “There’s a bigger reason why you are here than just to do the work and get paycheck. The bigger reason is to do the work that is the service,” she said.